This photo was taken in New Delhi. 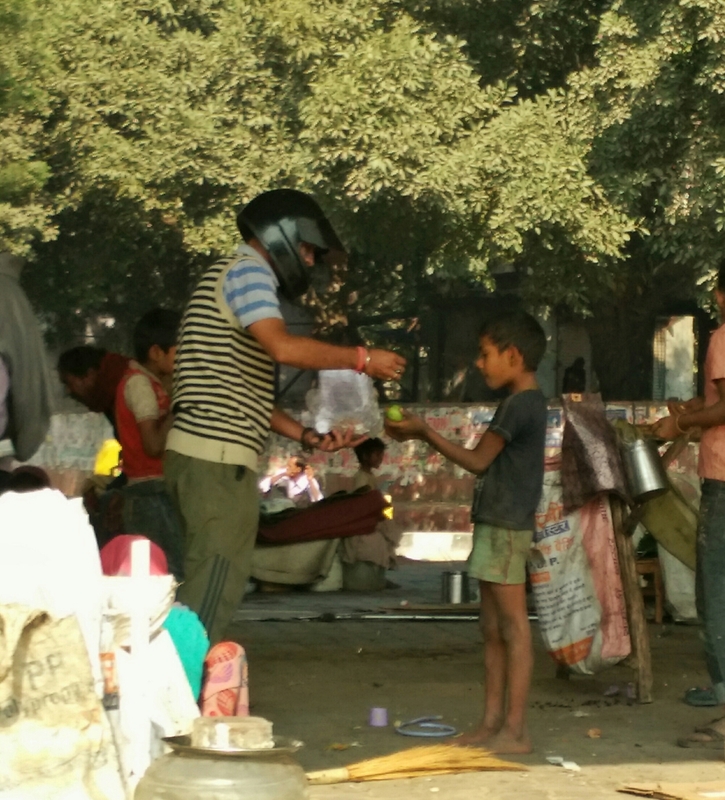 Groups of families live under the flyovers and mothers would tend their children there, while others play and some beg when the light turns red and cars stop waiting for the light to turn green again. In the photograph a man is seen giving samosa (snack) to one of the boy who lives there. People would occasionally come and distribute food to these people. Life does gets real harsh when winters arrive but then a new day starts and everything happens the same way once again. I was the witness to this scene and saw this man park his scooter and then distribute snacks while a group of children gathered around him demanding their share.